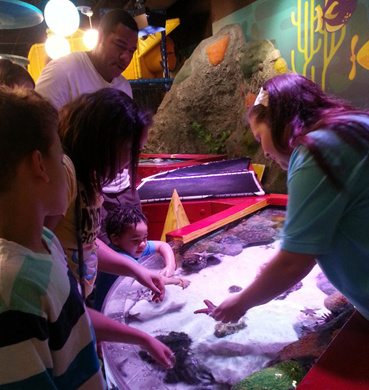 We LOVE going to Sea Life in Grapevine! We go often and the BEST thing in my opinion that it is indoors so hot, cold, or wet – it’s still a perfect time! It is much larger than it appears and has a ton of interactive stuff for the kids. There are hands-on tanks and an interactive shark touch screen where you can learn more about them. You can walk through a tube in the aquarium and watch everything including the sharks swim beneath and above you! It’s a great time, every time we go! We have taken adults and kids of all ages and everyone loves it. SEA LIFE Aquarium Grapevine will celebrate the Discovery Channel’s Shark Week from August 10-17, highlighting their expansive collection of 15 species of sharks. 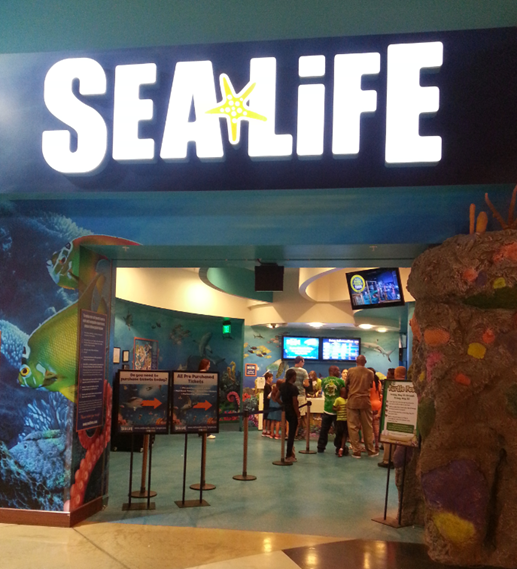 SEA LIFE Aquarium visitors can enjoy a wide range of exciting, interactive activities that raise awareness about shark conservation. – Take the shark scavenger hunt for a chance to win a SEA LIFE Annual Pass when you spot the correct species. – Touch real shark eggs and teeth in the interactive touch pool area and watch shark-themed videos in the cinema all week. – Watch aquarists feed sharks in the ocean tank at 2 p.m. on Tuesday, August 12, Thursday, August 14 and Saturday, August 16. See the shark feedings up close, along with two new baby epaulette sharks while you interact with aquarists with the purchase of a behind the scenes tour ticket. – Get your camera ready for an opportunity to take photos with “Sharky”, the SEA LIFE mascot on Sunday, August 10 from 11 a.m. to 1 p.m.
, Saturday, August 16 from 10 a.m. to 2 p.m. and Sunday, August 17 from 11 a.m. to 1 p.m.
– Immerse yourself in the life of a shark while playing games on giant interactive touch screens in Shark Mission, and discover compelling facts about these majestic predators of the deep.